Re: Syllabus of IBPS PO Descriptive paper? 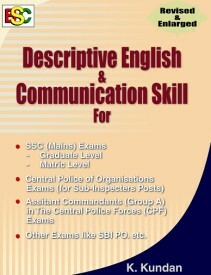 The descriptive paper is newly included in IBPS PO exam. Also there is a condition for this descriptive paper, the descriptive papers of only those who score minimum qualifying marks in each of the objective tests will be evaluated. Letter to authority for the complain about the shortage of water. so according to these syllabus you can easily qualify the entrance exam. WRITTEN TEST:: Written test consist of 250 objective type questions from five sections. Their will be 50 questions from each sections and the candidates amy solve more question as they can keeping in mind that each wrong answer will deduct 1 marks. After qualifying the objective paper , you will be allowed or call to appear for PART -B ie. descriptive paper .